"My Brooklyn" documents the dramatic transformation of Downtown Brooklyn and the Fulton Street Mall, where government policies and corporate development joined forces to displace small businesses and longtime neighborhood residents. Filmed over the course of several years, the film explores the forces reshaping the Fulton Mall - one of the most popular and successful shopping destinations in New York City - and nearby neighborhoods like Fort Greene, Clinton Hill, and Bed-Stuy. The documentary also follows the filmmaker's personal journey, as a Brooklyn gentrifier, to understand the forces reshaping her neighborhood along lines of race and class. 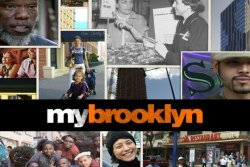 "My Brooklyn" reframes the gentrification debate to expose the corporate actors and government agents behind neighborhood change. 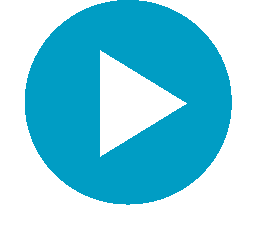 Kelly Anderson's documentary Never Enough, about Americans' relationship with their things, won an Artistic Excellence award at the 2010 Big Sky Documentary Festival. Her other work includes Every Mother's Son (with Tami Gold), about mothers whose children were killed by police and who became advocates for police reform, which won the Audience Award at the Tribeca Film Festival and aired on POV. Anderson and Gold also made Out At Work, which was at the Sundance Film Festival and on HBO. My Brooklyn is a collaboration with Producer Allison Lirish Dean, a journalist and urban planner who has covered arts, culture, and policy issues for public radio and for publications such as The Next American City and Gotham Gazette. Director Kelly Anderson will be available for a Q&A after both screenings, and Producer Allison Lirish Dean will be available at the June 2nd screening.